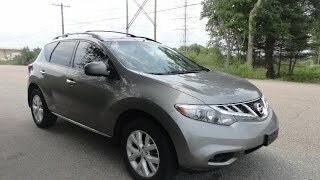 The successful Nissan Murano legacy continues with the Murano 2012 model, a crossover SUV that improves upon its predecessor with every opportunity. 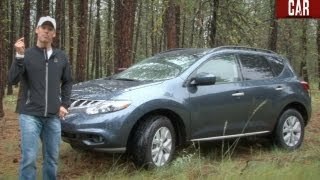 The 2012 Nissan Murano is available in eight models, S, SV, SL and LE, all of which come with either front-wheel drive or an intuitive all-wheel drive. Under the hood we find a 3.5 liter DOHC V6 VQ-series engine able to develop 260 horsepower and 240 lb-ft of torque, complemented by an advanced Continuously Variable Transmission (CVT) which provides a sporty but smooth driving experience and combines power with fuel efficiency. As mentioned above, all Murano variants come with either front-wheel drive or the Intuitive All-Wheel Drive System able to automatically adjust according to the driving conditions. 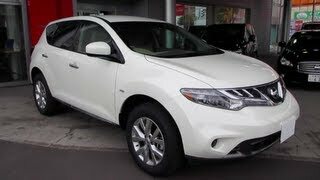 However, both FWD and AWD variants of the Murano include Vehicle Dynamic Control and Traction Control System as a standard.Furthermore, the Murano 2012 makes use of the advanced “D” platform similar to that used in the 2011 Altima. Every Murano comes with four-wheel independent suspension and high performance dual flow path shock absorbers designed to provide both increased stiffness and comfort on rough surfaces. The breaks consist in 12.6 inch vented disk brakes at the front and 12.1 inch vented disk brakes at the rear wheels, complemented by 4-channel, 4-sensor Anti-lock Braking system featuring Electronic Brake force Distribution and Brake Assist. 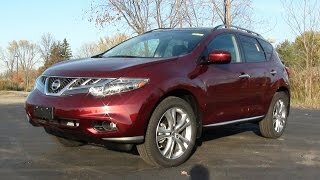 The exterior of the 2012 Nissan Murano has been also improved upon and is now offering a new front fascia design, pronounced wheel arches and chrome elements such as door handles and roof rails. At the rear end we find an integrated rear roof spoiler, dual exhaust outlets with chrome finishers and large LED taillights. Other exterior features include High Intensity Discharge bi-functional Xenon projector headlights and fog lights (standard on the SV, SL and LE variants), rain-sensing windshield wipers and dual panel power sliding glass moonroof. The 2012 Nissan Murano is available in eight exterior colors including Pearl White, Sapphire Black, Merlot, Tainted Bronze, Platinum Graphite, Brilliant Silver, Graphite Blue and Super Black. On the interior the 2012 Nissan Murano comes with enhanced front seats for increased comfort and 60/40 fold-flat rear seats featuring the “power return”system. Additionally, all the seats in the Nissan Murano come with heating. The SL and LE models are enhanced with double-stitched leather-appointed seat coverings as a standard, other optional extras consisting in 8-way power driver’s seat coupled with a 4-way power front passenger seat. On the interior, the Murano is offered in either Beige or Black color schemes. In the electronics department the 2012 Nissan Murano provides auto door lock, Fine Vision gauges, dual zone climate controls and a six speaker audio system as a standard. Other optional extras include the Push Button Start, Bose premium 11-speaker audio system with an in-dash CD changer and speed sensitive volume control, Nissan Intelligent Key and a Hard Drive Navigation system. 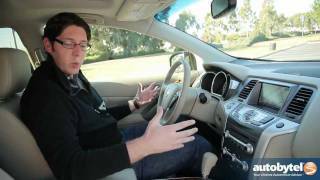 As far as pricing goes, the 2012 Nissan Murano S FWD standard variant is to be sold at around $29,300, with the price going up by roughly $10,600 for the LE AWD version. As for Murano’s key competitor, the base model of the 2012 Ford Edge is sold at $27,750, whilst the AWD Sport variant can cost about $12,200 extra.